roman pedestal. custom furniture. designer plinth. plant stand. 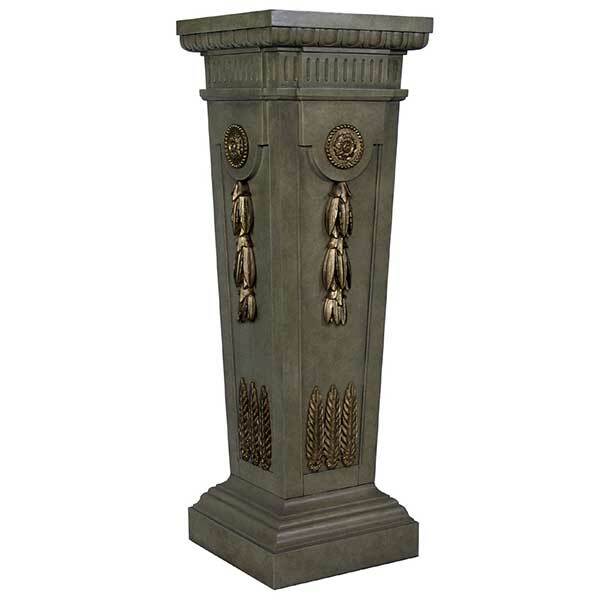 Furnishings of ancient Rome were the source of inspiration for the Roman Pedestal. The most important record of furniture of the Roman period is the collection of carbonized furniture from Pompeii and Herculaneum. While the eruption of Vesuvius in 79 CE was tremendously destructive to the region, the hot ash that engulfed the towns of Pompeii and Herculaneum preserved the furniture in carbonized form. The Roman Pedestal was designed by award-winning designer Shah Gilani, ASFD. With its understated elegance, it makes an exceptional plinth for displaying an objet d’art. 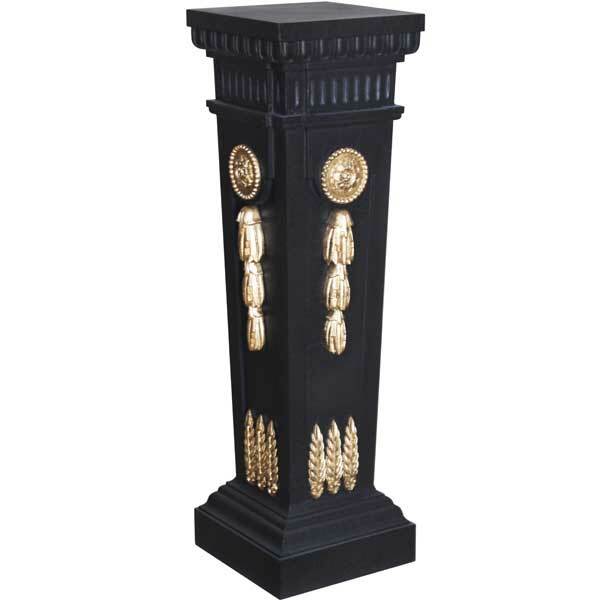 The pedestal also makes an excellent plant stand for residential and hospitality interiors. The Roman Pedestal may be used with the optional stone top in the Mediterranean style. Robust wood construction allows the pedestal to support even a heavy sculpture without shaking. It is offered in a variety of finishes and accents. Custom sizing is available.